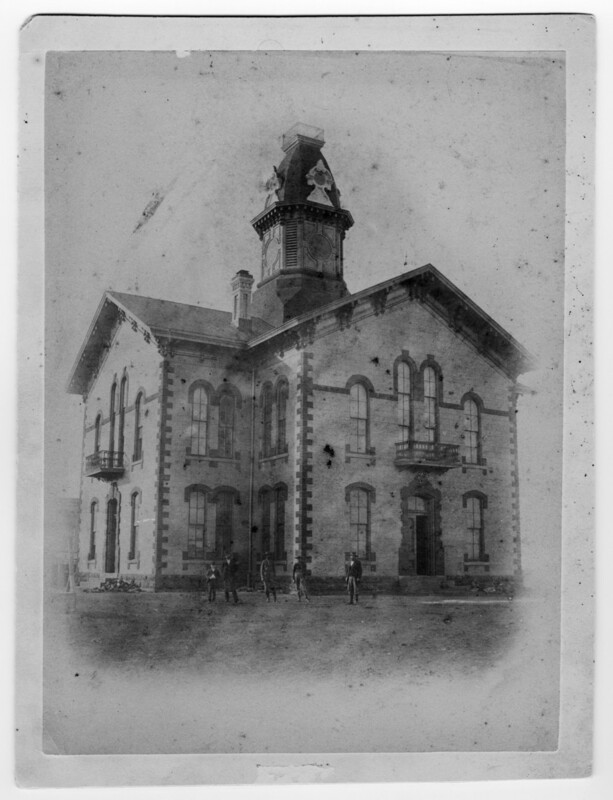 In September of 1894 the Denton courthouse was struck by lightning. It was condemned and demolished, and it was from the reused bricks that William Crow Wright (1837-1906), a retired rancher, built his opera house. Browsing old scans of The Denton Monitor, Wright’s Opera House seemed to showcase a bit of everything—opera and drama, musical and vaudeville revues, local talent shows—and hosted community events such as the Denton High School commencement ceremonies. Facing competition from "moving picture" houses, The Opera House ceased full time operation in 1913. It tried in 1918 to reinvent as the Majestic Theater, but was not successful. According to local historian Shelly Tucker, “its last audience was an all male group who paid $2.00 each to witness a prize fight between a local post office employee and a semi-pro boxer from Dallas." In the years that followed, the building housed The Boston Store—a department store—and then became the Kibler Office Supply Store. In 1990 Recycled Books, Records, and CDs moved from its by then crowded space on Oakland Street by Texas Woman’s University, and has been filling the building with books, music, and movies ever since. The building was painted its now-trademark purple during the summer of 1998—a controversial move that stirred debate among local historians, downtown businesses, and the building's then owners. Some suggested the move was an antagonistic gesture against the city's building codes, while others pointed to other examples of 19th century architecture, particularly in Italy, where such colors were common. Regardless of its origin, the “big, purple building on the Square” has become a beacon for book and music lovers and an unmistakable part of Denton’s cultural landscape. Michael E. McClellan. "Wright, William Crow," Handbook of Texas Online. Published by the Texas State Historical Association. Shelly Tucker. "The Wright Opera House, a Legacy." This Eclectic Life: The Adventures of a Sassy Texas Storyteller. Blog. Photos and early Denton Monitor articles and advertisements via The Portal to Texas History.